However, if you believe that the item received is in wrong color. Please contact us to see if a return or refund is possible. 2).The buyer is responsible for any tax and/or duty charged by their country. GenShuo online shop do sell based on their excellent designs and proven reliability. So the quality is guaranteed. Also we have a QA team to test your ordered products are functioning correctly before they are packed and sent to you. But you do need to confirm your foot size carefully before buying (a size measurement will be show below each items). GenShuo was one of the web’s first online stores and has been helping the fashion-conscious look fabulous since 2008. 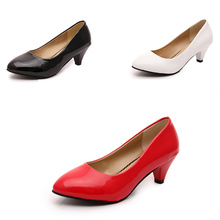 Based in China, GenShuo offers the lastest street style pumps, boots &more. Wish you an enjoyable purchasing! We also accept the OEM orders. If you need it, pls contact us.